In April we want to remind you of one of our classic trailers: the "Road Runner" from Meusburger. In March we present you an immediately available trailer in detail: the Maxtrailer 3-axle-tele-semi-trailer MAX100. In february we present you also another trailer in detail: the Faymonville 4-axle-semi-trailer with hydraulic ramps. 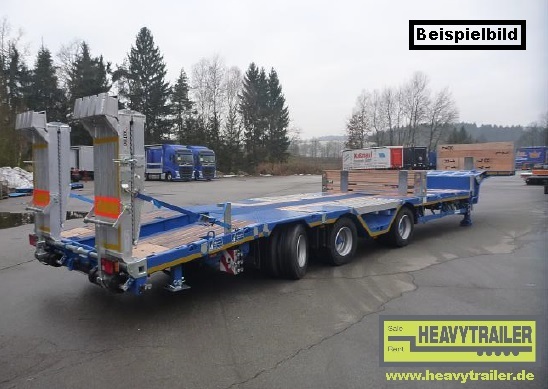 In February we present you one of our young used trailers: the HRD 3-axle-semi-trailer (first registration: 04/2015). A new commission trailer is available for sale: a Faymonville 4-axle-semi-trailer MULTIMAX with hydraulic ramps. We want to present you one of our immediately available trailers: the Meusburger 4-axle-jumbo-semi-trailer. 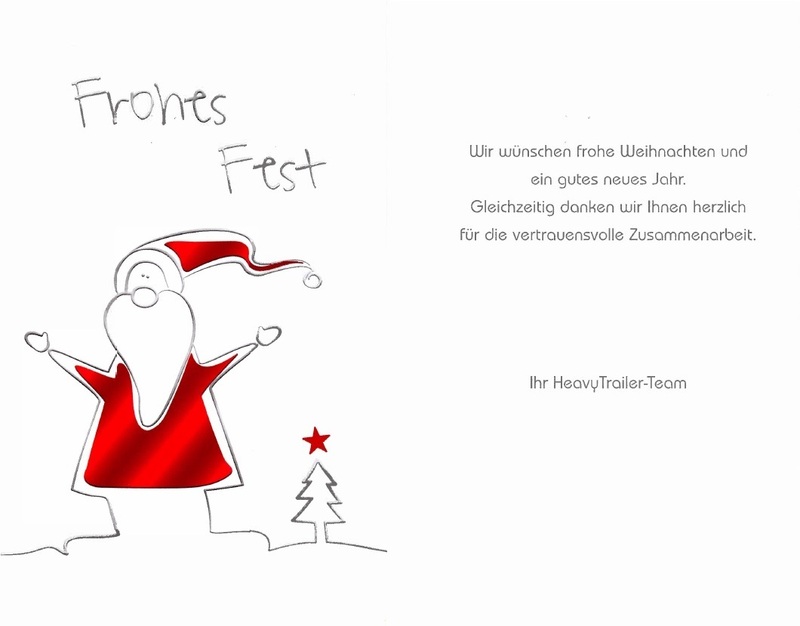 HeavyTrailer wishes you Heavy Christmas and a happy new year! 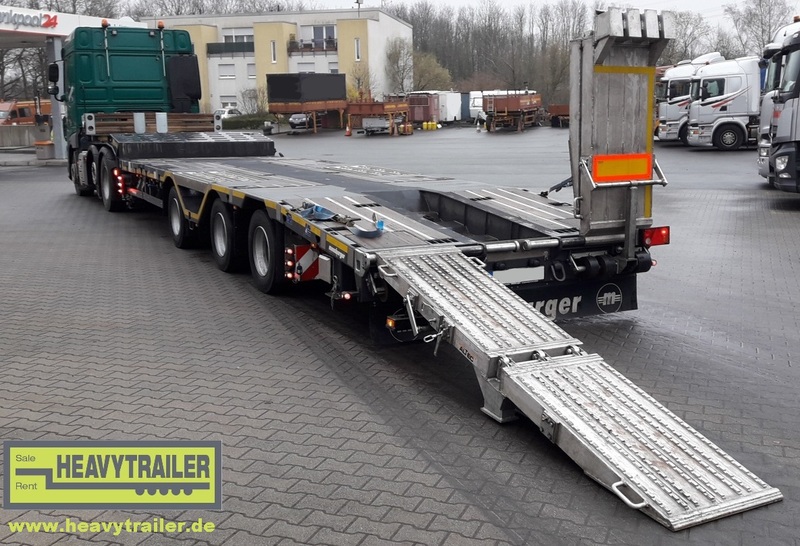 In November we want to remind you of one of our classic trailers: the "Road Runner" from Meusburger with one pair of wheel recesses (with aluminium covering), an excavator recess and one pair of aluminium folding ramps (spring lifter).